Andrew Revkin asks if Hollywood can help change public attitudes to global warming. He wishes it could, but doubts it will. There’s simply too much evidence that the fundamental characteristics of the rising human influence on climate are a very bad fit for how humans absorb and respond to risks. Should companies pay to pollute? Aristotle had a view. 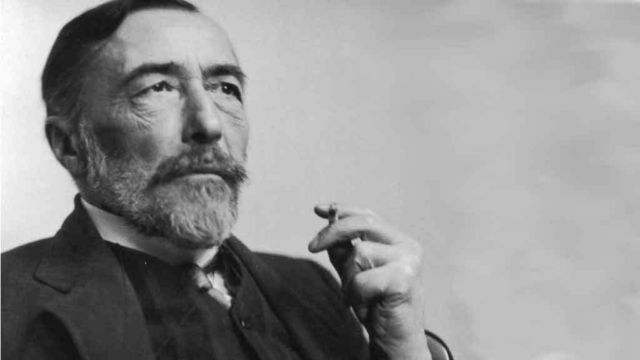 As Heart of Darkness has moved from one medium to another, it has made a good claim to be the single most influential hundred pages of the 20th century. If you consider its central theme—how one half of the world consumes resources at the expense of the other half—it’s easy to see its relevance becoming even greater. Only the resources will no longer be ivory for piano keys, or rubber for bicycle tyres. My 'Going Green' column on Conrad's novella appears in Intelligent Life. The National Theatre's play about climate change, Greenland, had its first preview last night. The critics don't get to see the play till 1st February, but audience members, leaving the show last night, had a chance to express their views almost immediately. On a day when eight inches of snow fell on Boston (above), our co-editor Kellie Gutman receives a postcard asking her to look out for the first daffodil. 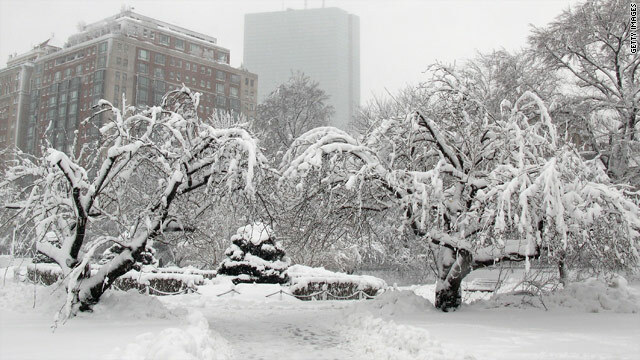 Boston has already received its yearly average of snow for the year - 42 inches. But that hasn't discouraged the fourth and fifth class students at the Paideia School in Atlanta, Georgia, from sending out their annual request for people to monitor the progress of "blooming daffodils" along Route 1. A major North-South highway, Route 1 runs along the East Coast for 2,377 miles, from Key West, Florida to Fort Kent, Maine. Each year the students at Paideia School in Atlanta send postcards to postmasters and friends who live in towns along the route, asking them to mail back a postcard with the date of the first sighting of a blooming daffodil in their town. They use this information to plot the speed of spring’s advance, and, before the end of the school year, they send out a report of their findings. It's one way of measuring season creep. Also, as a school project, it's exemplary, managing - as it does - to be poetic, scientific and participatory. Overheard in the news room. It was only a couple of years ago that this blog was writing about why theatres don't touch climate change. It seemed, at the time, as if there was something about theatre, or the way people conceived of mainstream theatre, that made the subject almost impossible to treat. This was part of a more general avoidance of the environment as a subject for the performing arts. The Ashden Directory had been launched, back in 2000, as a way of following and encouraging those works which did engage with this subject. But now things are changing. Eighteen months ago there was finally, a good play about climate change. It was also possible to see in the works, for instance, of Wallace Shawn and Andrew Bovell the green shoots of climate change theatre. Fast forward to January 2011, and this month alone three climate change plays will open in London - Greenland at the National, The Heretic at the Royal Court, and Water at the Tricycle. Why is this important? Because climate change alters the way we think about our lives. The news contained within the various IPCC reports will be as influential, as paradigm-shifting, on the way we see ourselves as Darwin's Origin of Species. It is, ultimately, a question of values and relationships. As such, it is a natural subject for theatre. But new plays don't open in a vacuum. For them to succeed, there needs to be a lively engaged audience that has some sense of what is at stake. That's why we have also been involved with the Open University in producing a new series of podcasts that puts cultural work around climate change in perspective. The podcasts bring together 17 artists, activists, writers, film-makers, scientists, entrepreneurs and academics, including comedian Marcus Brigstocke, choreographer Siobhan Davies, BBC environment analyst Roger Harrabin, architect Carolyn Steele and Mike Hulme, author of Why We Disagree About Climate Change. Radio 4's Quentin Cooper chairs these four 'Mediating Change' discussions which cover the history, publics, anatomy and futures of cultural responses to climate change. The podcasts are now available to download from iTunesU. Louis Menand on how books acquire reputations for policies they never proposed from Betty Freidan to Rachel Carson. "The Feminine Mystique" did not recommend that women pursue full-time careers, or that they demand their legal rights. It only advised women to be prepared for life after the children left home. “The Silent Spring” did not call for a ban on pesticides. It only suggested that their use be regulated. These are books whose significance exceeds anything they actually said.